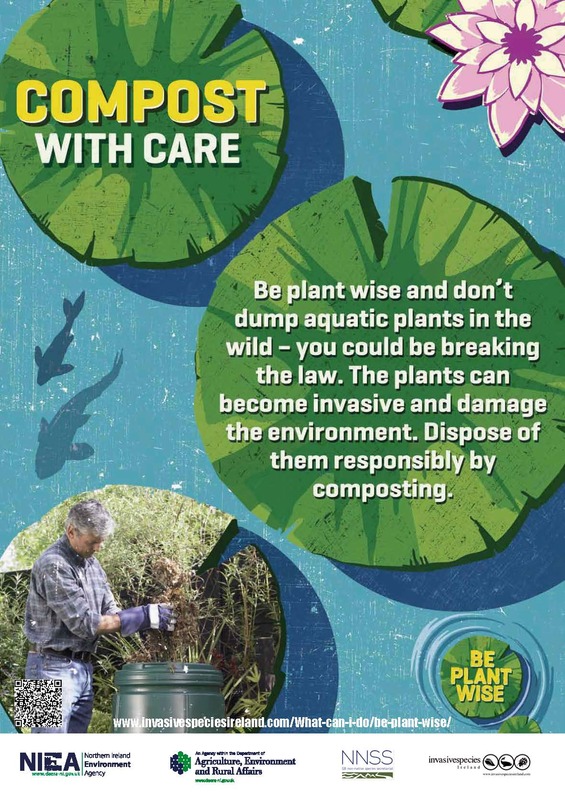 Be plant wise and don’t dump aquatic plants in the wild!!!! Ponds can create a wonderful feature to be enjoyed all year round and are often a haven for wildlife. However, if they are not cared for properly some pond plants can take over your pond. They can also become established in the wild, where they can smother our native plants, clog our waterways, exacerbate flooding and remove oxygen from the water, which can harm fish. 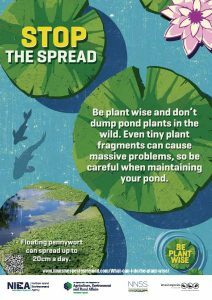 Pond owners, gardeners, aquarists, anglers and other water users can unknowingly assist the spread of aquatic plants into our countryside. These plants can rapidly become major environmental problems with expensive associated costs. Whether you are a pond owner or a retailer of aquatic plants, by following the three simple steps below you can become Plant Wise and help to reduce the risks of invasive aquatic plants being released into our environment. 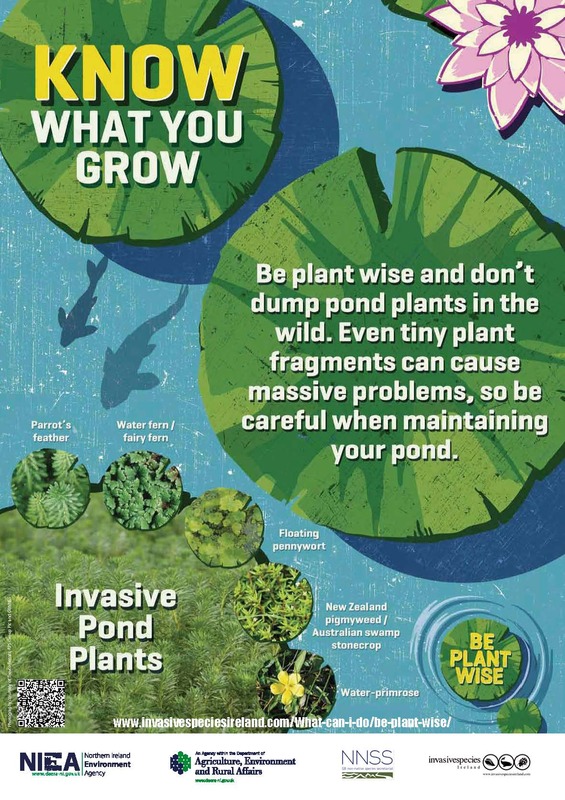 The following resources offer advice for gardeners and pond owners. We are also working closely with retailers of aquatic plants to provide information in stores. 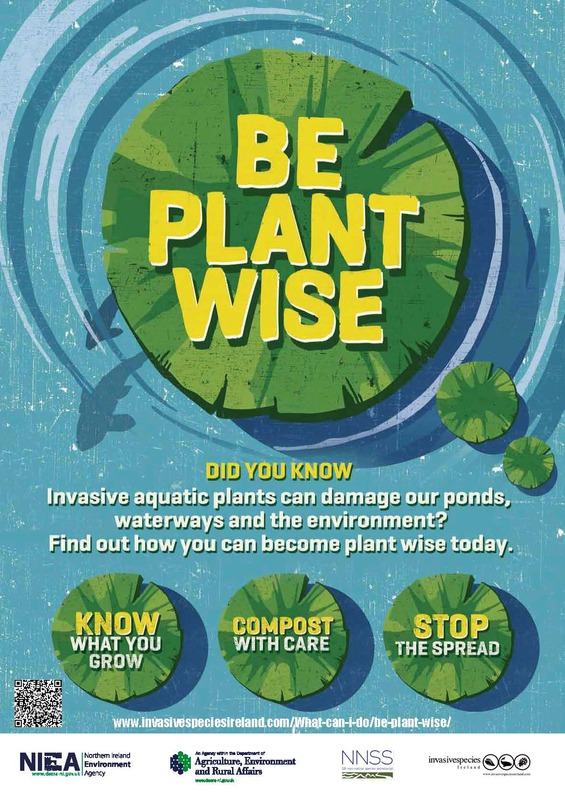 Campaign video: Watch the Be Plant Wise video presented by Charlie Dimmock. 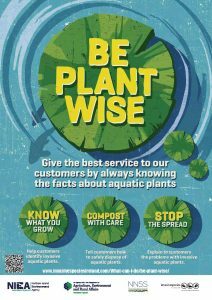 Guidance for retailers: Access more information on how you can promote the Be Plant Wise Campaign. 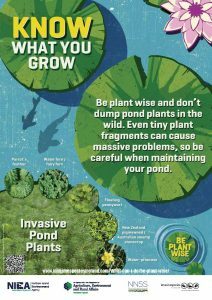 Guidance for gardeners / pond owners: Access more information on how you can look after your pond in a manner that will prevent invasive species getting into the environment. 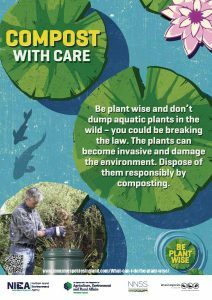 Download the Be Plant Wise information leaflet and find out more about how you can help stop the spread of invasive plants. More information on some of the invasive aquatic plants to avoid and how to find alternatives.